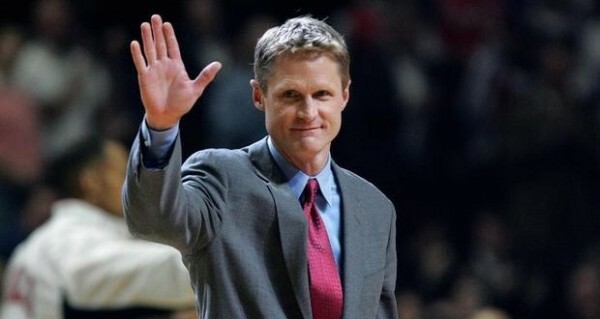 In a surprising twist, Steve Kerr decided not to join the New York Knicks and take the head coach job of the Golden State Warriors instead, signing a five-year deal with the franchise he apparently preferred working for all along. Despite the allure of the Knicks and especially Phil Jackson, it seemed Kerr preferred taking the Warriors job all along. It was only because of his connection with Jackson that he gave the Knicks such a lengthy consideration. Like others, Kerr believed that the Warriors preferred Stan Van Gundy. Once Van Gundy signed with the Pistons, everything fell into place, and Kerr went back to the Golden State option. Kerr signed a five-year deal; one year more than what the Knicks were offering him. His relationship with team owner Joe Lacob was a very important factor in his decision, but that wasn’t the only thing. Geography matters. Kerr might have traveled all across the NBA, but he’s a West Coast guy, with children in California high schools and colleges. The Knicks had to give him something quite substantial to make him overlook that factor. And there was the difference in the teams. The Knicks might have Phil Jackson, but at the moment, that’s probably their only appeal. Their roster seems like a dead end at the moment because of the long term contracts and low on talent and quality youth. Carmelo Anthony might not be even returning. Someone also told Kerr that working under James Dolan hasn’t really worked out well for anyone, including guys like Larry Brown and Mike D’Antoni. On the other hand, you have a Warriors team that’s ready to win now, with plenty of building blocks to set parts around them. They have an owner who is committed to spending and winning now, and doesn’t seem to have a huge ego problem and a tendency to disrupt the working process of a general manager and the head coach. In short? Except for the Phil Jackson connection, there was nothing the Knicks had to offer that was better than what Kerr was getting from the Warriors. So Kerr, with no coaching experience (but a 3-year GM stint in Phoenix) begins his attempt to take the Warriors to the next level: Mark Jackson took them from missing the playoffs to a legitimate postseason team. Kerr needs to move them up to the next level, which means contending for the NBA title, which is something the Warriors haven’t done in a very long time. New York? They have a problem. The Phil Jackson allure didn’t work, and now they’ll be stuck with picks that know they aren’t a first choice. With a bad roster and slim pickings, not to mention an owner not a lot of people want to work for, it’s going to be a while before the Phil Jackson effect starts having a positive sway on things.